Employee and employer contributions are remitted directly to the investment provider with whom the employee has a contract. The employer's obligation to the New Jersey Division of Pensions & Benefits (NJDPB) is to complete a monthly report, the Employer Contribution Report, to be submitted to the NJDBP by the 10th of the following month. All group life insurance premiums are paid by the State of New Jersey through the Office of the Defined Contribution Plan Unit at the New Jersey Division of Pensions & Benefits (NJDPB). Note: The Employer Contribution Report provides the basis for payment of any life insurance benefits payable upon the death of a member. Please ensure that your report is accurate and timely. Be sure the identifying information requested (month/year, location name, location number) at the top of the form is complete and accurate. "Total Normal Base Salaries" represents base salaries that members received in the current month. "Total Back Deductions Salaries" represents the base salaries that members have received from the date of enrollment eligibility, or intrafund transfer, to the current month. "Total Base Salaries" equals the sum of "Total Normal Base Salaries" and "Total Back Deductions Salaries." "Total Number of Participants" represents the total number of participants that are reported to the various ABP carriers for the current salary month. The institution must report changes in base salary and/or the number of participants (this includes new employees, members returning from leave of absence, and members returning to employment). An Alternate Benefit Program Enrollment Application must be processed by the New Jersey Division of Pensions & Benefits (NJDPB) before the institution can add the employee to the Employer Contribution Report. The Certification of Payroll Deductions is the NJDPB's confirmation that an enrollment application was processed. The institution must therefore wait for a certification, and then add new employees to the Employer Contribution Report when the certification is received. Identify the new employee by name and MEMBERSHIP NUMBER. Indicate the employee's vested status with a "D" for Delayed Vested or an "A" for Active. Indicate whether the employee is categorized as "AC" for Academic or "NA" for Non-Academic. Report the new employee's Normal Base Salary for the current month (Do not report Back Deductions Salary in this section). Provide a brief explanation as to why the employee is being added to the Report, such as new enrollment, intrafund transfer, return from leave of absence, or return to employment. Be sure to include the corresponding effective date. ABP members returning to employment within two years of their last date of contribution, who were not reported by any other institution covered by the Alternate Benefit Program subsequent to their return, should be added to the Report immediately. 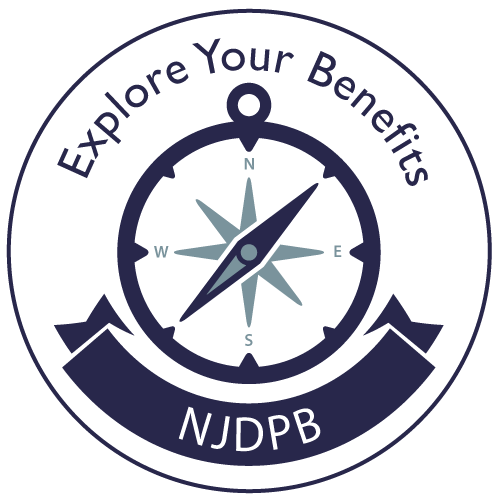 Do not file an enrollment application or wait for a certification from the NJDPB to secure the 8 percent employer contributions. Continue to report the net change in base salaries resulting from increases that take effect during the current salary month. Identify the members involved and provide an appropriate explanation for the change. For retroactive salary increases, show the retroactive salary portion of the salary increase as a separate amount. The "Addition Total" for "Base Salaries" is the total of the base salary adjustments that increased the institution's base wages for the current salary month. The "Addition Totals" for the "Number of Participants" reflect the total number of employees that were added to the report. The institution must report changes that decrease base salary (decreases result from members who retire, resign, terminate, die, or take a leave of absence, as well as salaries that are contractually decreased). Non-recurring salary changes, such as a retroactive raise that was reported on the last month's Report, should be reported as a deletion item. Identify members who are being removed from payroll by name and MEMBERSHIP NUMBER. Report the base salary decrease for each member removed from payroll. Indicate the employee's vested status, with a "D" for Delayed Vested or an "A" for Active. Provide a brief explanation as to why the employee is being deleted from the report. This commonly includes members who retire, resign, terminate, die, or take a leave of absence. Include the effective date the member was removed from payroll. The "Deletion Total" for "Base Salaries" is the total of the base salary adjustments that decreased the institution's base wages for the current salary month. The "Deletion Totals" for the "Number of Participants" reflect the total number of employees that were subtracted from the report. The "Total Normal Base Salaries" in the "Summary of Participants" section must equal the "Total Normal Base Salaries" that were reported for the previous salary month plus the total of the base salary changes reported for the current month under the section "Additions and Salary Increases to Report," less the total of the base salary changes reported for the current salary month under the section "Deletions and Salary Decreases to Report." The "Total Number of Participants" under the "Summary of Participants" section must equal the total number of participants that were reported for the previous month plus the number of employees added on the current month's Report under the section "Additions and Salary Increases to Report," less the total number of members that were deleted from the current Report under the section "Deletions and Salary Decreases to Report." The institution must report the base salary that the members received from the date of eligible enrollment, or intrafund transfer, to the date salaries were reported as part of "Total Normal Base Salaries." The salary must be reported in lump sum or in accordance with the salary on which you calculate the periodic back deduction schedule. Autonomous employers have the option of taking back deductions through payroll deductions or by deducting a lump sum payment from the member. Members paid by Centralized Payroll Unit will have regular deductions taken each biweekly pay period until the back deduction amount is satisfied. Identify the employee by name and MEMBERSHIP NUMBER. Report the base salary on which back deduction contributions were made and sent to the ABP carrier(s) for the current salary month. Be sure to explain any information provided in this section. The total "Mandatory Back Deduction Salary" must be inserted in the "Summary of Participants" section on page 1 of the Report. This salary is added to the "Total Normal Base Salaries" to derive "Total Base Salaries." The 8 percent employer's contribution is based on the sum of the "Total Normal Base Salaries" and the "Total Back Deductions Salaries." Members may make additional, voluntary contributions on a tax-deferred basis. These contributions are NOT reported on the "Employer Contribution Report" because they are not mandatory pension deductions; there are no employer contributions to be made as a result of Voluntary Additional Contributions, nor do they have any impact on Group Life Insurance benefits. The institution must report all of the requested information pertaining to former employees who terminate during their first year of participation. Information for the former employee should be reported in the same month that the institution receives credit for the contributions from the carrier(s). The amount to be reported would be the net value of the employer's contributions (which equates to 8 percent of the member's reported base salary) plus or minus any gains or losses from investments by the carrier. The gross amount of employer reimbursement for that month will be reduced by the amount of contributions credited by the carrier. Report the base salary on which contributions were made and sent to the ABP carrier(s) for the current salary month. The total "Delayed Vesting Participants Terminating in the First Year of Participation" must be inserted in the "Summary of Participants" section on page 1 of the Report. This salary is factored into the "Total Normal Base Salaries" to derive "Total Base Salaries." In addition, a copy of the statement that was received from the carrier for the credited contributions should be attached to the Report. It is important to note that the terminated employee must be included in the "Deletions and Salary Decreases to Report" section for salary month in which the employee terminates and payroll deductions cease. This may or may not be the month when you receive the credited contributions from the carrier. The two sections are independent of each other.